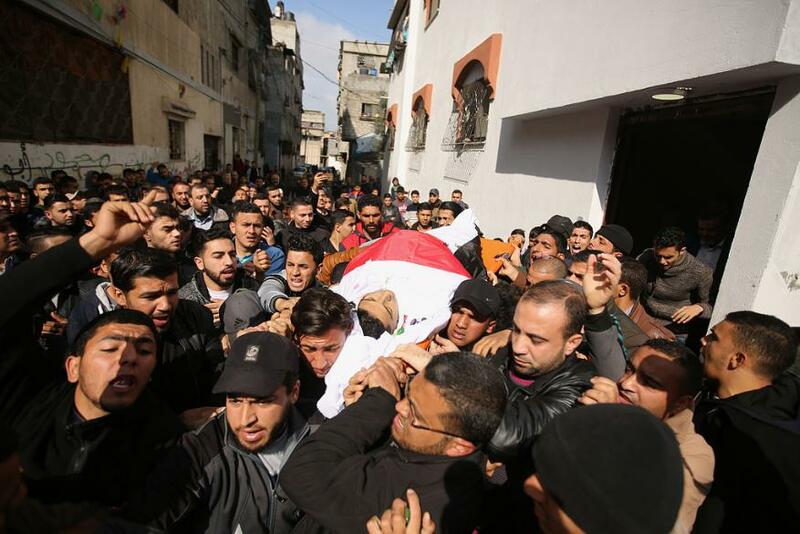 Hamza Shtewi, 18, and Hasan Shalabi, 14, who were shot dead by Israeli soldiers on Friday during the Gaza March of Return border protests, were laid to rest on Saturday in the blockaded Gaza Strip. 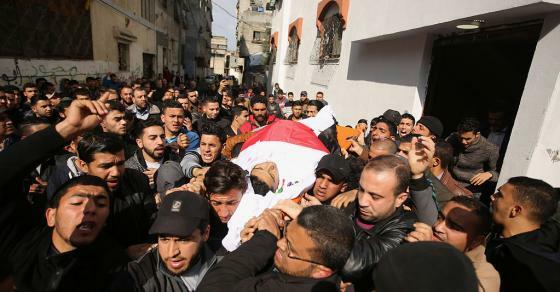 Hundreds of Palestinians took part in the funeral procession of Shtewi, which started at AlShifa Hospital in Gaza and ended at Gaza’s Zaytoun neighborhood. He was buried at AlShuhada Cemetery. Mourners also took part in Shalabi’s funeral procession in Khan Younis. The two casualties were killed on Friday by Israeli bullet fire. Several others also suffered various kinds of injuries from bullets fired by soldiers stationed on the Gaza border.